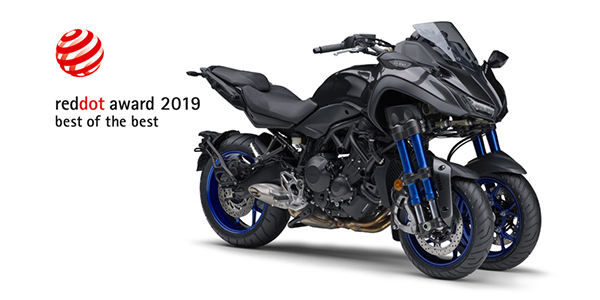 Yamaha Motor Co., Ltd. announced that its flagship Sports LMW* NIKEN has been chosen as the “Best of the Best” in the globally-renowned Red Dot Award: Product Design 2019 competition. The company has received the Red Dot Award for its products for the last eight consecutive years from 2012, and on this occasion, it has also achieved the fourth Yamaha Motor product to be selected as the “Best of the Best.” In addition, this achievement marks the second design award received by the NIKEN following on from the GOOD DESIGN AWARD 2018. The NIKEN is a large model LMW with an 845cm3 liquid-cooled in-line three-cylinder engine. 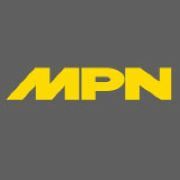 The NIKEN has been developed using a design that brings unprecedented riding taking advantage of the features produced by LMW Technology, which is less susceptible to changes in the riding environment providing a higher degree of stability during turns. At the core of the design is a look that shows solid ground contact of the front two-wheels, which further emphasizes NIKEN’s sturdy undercarriage. The powerful shoulder area and slim tank designed for knee gripping combination creates a feeling of greater dynamic movement. With its distinctive “LMW-Power” body design comes the realization of a sporty athletic performance that challenges the rider to want to take on each curve on winding roads. The Red Dot Design Awards, organized by Germany’s Design Zentrum Nordrhein Westfalen, are widely recognized as one of the most prestigious design awards in the world.